Easley joined New Dominion in June of 2011. He previously served for eight years as the President and CEO of the Grand River Dam Authority, during which time he successfully turned the GRDA’s credit rating from a near junk-bond status of BBB- to an AA rating. Easley served almost 20 years in the Oklahoma Legislature where he was largely responsible for creating legislation that ensured business development opportunities and optimum energy levels for consumers and businesses. During his time as an Oklahoma senator, Easley was employed as the Hydrocarbon Marketing and Distribution Manager for Samson Energy. 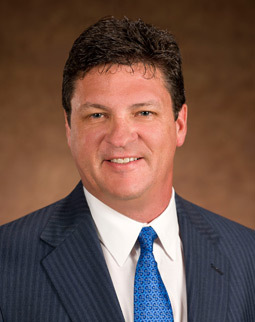 Easley is a graduate of the University of Tulsa where he earned a Bachelor of Science in Business Administration with an emphasis on Accounting. Later, he earned his Master of Business Administration degree, with honors at Oklahoma Christian University.